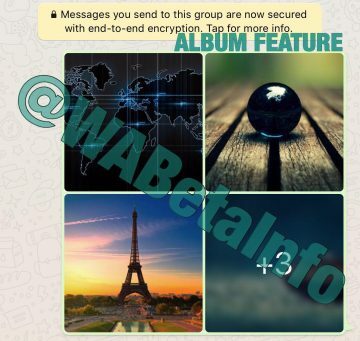 WhatsApp Albums: this is the name of the new feature that WhatsApp is developing. Thanks to albums, you will be able to share multiple photos at once (recently Instagram introduced the same feature for its app). To create an album, you have to share/receive 4+ photos. Stickers and new design for GIFs! WhatsApp will add stickers in the app soon: this is the last news spotted in the iOS version, that shows a new redesign for sending GIFs and, finally, stickers. 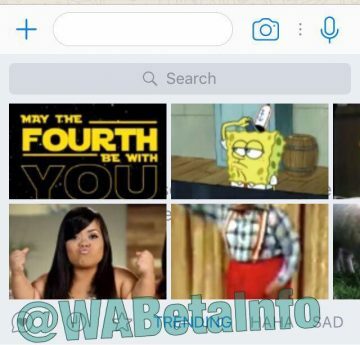 As shown here, WhatsApp is going to redesign the GIFs picker, making it very similar to Android and Windows Phone. You’ll be able to choose a category to search quickly certain types of GIFs, or you can manually search them.